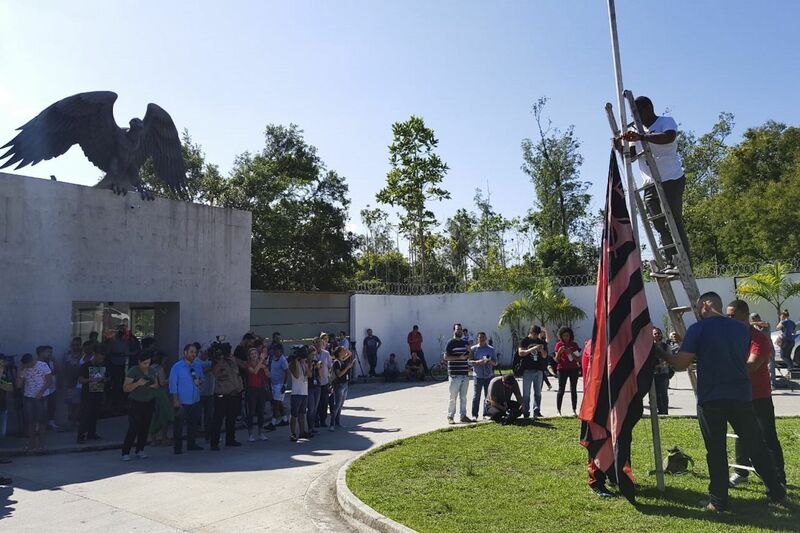 The training center was located in the western region of Rio de Janeiro city and housed many of the 14-17 year olds who played in Flamengo’s youth team. RIO DE JANEIRO, BRAZIL – A fire during the early morning hours on Friday at the Flamengo youth training center left at least ten dead and three injured, according to the city’s fire department. According to officials the fire seemed to have started in the center’s sleeping quarters. The training center was located in the western region of Rio de Janeiro city and housed many of the 14-17 year olds who played in Flamengo’s youth team. The youth squad was a gate for these boys to some of the country’s best soccer teams. The three injured, one 14-year-old and two 15-year-olds, have been taken to a nearby hospital. According to officials, one is in very critical condition, with at least 40 percent of his body burned. Among the dead are four players, two youths trying out for the team and four center employees. Rio’s governor, Wilson Witzel determined a thorough investigation into the causes of the fire and mourned the deaths of the young players. “I want to express my deepest condolences for this tragedy and render solidarity to the families of the victims. May God bless them and bless you,” said Witzel. Former Flamengo superstar, Arthur Antunes Coimbra, known as Zico, lamented the fire and called for a thorough investigation. “What a shock to receive this news here, on the other side of the world,” said Zico, who currently works in Japan. “Let us investigate fully, because a tragedy like this cannot go unanswered. Lives are gone,” he said through social media. The classic match, between Flamengo and Fluminense, scheduled for tomorrow has been canceled.